Fågelbo Residency is a collaborative residency from Wild Beast Collective, which aims to elevate as well as educate the performance art field of south Florida. It seeks to establish a much needed program platform for an under-served art field through an original residency opportunity. Collaborating artist teams will consist of a visual/interdisciplinary artist and a performing artist, applying together with a project proposal. One of the applicants should live in south Florida, but could potentially bring in a collaborator from somewhere else. The April 2018 residency is hosted by FATVillage Projects and Girls’ Club, giving space to work, time for research and a platform for exhibiting and performance opportunities. Each artist receives an honorarium to cover material costs and rehearsal/performance fees. Ivonne Batanero was born in Lima, Peru. Ivonne from the University of North Carolina School of the Arts where she graduated from in 2009. She is a two-time commission artist by Miami Light Project for their annual Here and Now Festival. Her choreography was described as the most theatrically coherent and compelling piece in 2012 and the most engaging piece in 2013. Ivonne has been awarded the Miami Dade County Department of Cultural Affairs for 2016-2017 Dance Miami Choreographers Program. She has been touring with Rosie Herrera Dance Theater since 2011 and recently joined Adele Myers and Dancers in 2017. 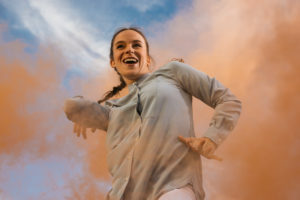 She has performed in several countires internationally and nationally most recently Australia in 2017 and Lima, Peru in 2015 to create her first dance on film and to present her latest solo work I think it’s in my belly. Ivonne is currently working on her first evening length work which will be the continuation of I think it’s in my belly. 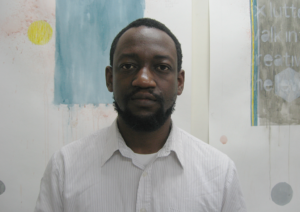 Adler Guerrier was born in Port-au-Prince, Haiti and lives and works in Miami, FL, where he received a BFA at the New World School of the Arts. Guerrier recently had a solo exhibition at California African American Museum, Los Angeles, CA and David Castillo Gallery, Miami, FL. He has exhibited work at Perez Art Museum Miami, Miami, FL; Vizcaya Museum and Gardens, Miami, FL; The Bass Museum of Art, Miami, FL; NSU Art Museum, Fort Lauderdale, FL; and Whitney Museum, New York. His works can be found in public collections including the Institute of Contemporary Art, Miami, and the Studio Museum in Harlem, NY. His work has appeared in Art Forum, Art in America, The New York Times and ARTNews. Wild Beast is a group of artists from various disciplines. Members are: Jenny Larsson (SWE/US), Edison Peñafiel (ECU/US), Dag Rosenqvist (SWE), Rachel Carroll (US) and Lize-Lotte Pitlo (NLD/US). Our mission is to explore, stretch, and deepen the understanding of contemporary art through multiple mediums. By creating art in unconventional places, or hosting events that are free to the public, we aim to engage the communities directly impacted by our projects. Our work often explores both the body and the site, and working site-specific gives us an opportunity to cooperate with the community native to the site, understanding its legacy and current political climate. We are also heavily influenced and engaged with environmental issues as well as concerns. Having members that live and work in different parts of the world allows for various levels of collaboration and involvement in each other’s projects. This cultural and artistic diversity helps foster a vibrant dialogue within the collective. Since 2016, Wild Beast has produced experimental short films, interactive performance/exhibitions, and a new artist residency. We have created performances for the stage and for specific sites, developed collaborations with other organizations such AIRIE, Everglades National Park, The FIU Nature Preserve, The Frank Gallery, Girls’ Club, Miami Light Project, FATVillage Projects, among others. Wild Beast Collective launched a new collaborative artist residency in 2017 named Fågelbo (The Nest). The residency aims to elevate as well as educate the performance art field of south Florida. It seeks to establish a much needed program platform for an underserved art field through an original residency opportunity. Collaborating artist teams will consist of a visual/interdisciplinary artist and a performing artist, applying together with a project proposal. The residency was in 2017 hosted by FATVillage Projects, a warehouse in Ft. Lauderdale, FL that offers 8,000 sq feet of space for work, exhibitions, and performances. A residency stretches between 3-4 weeks, giving time for research and installation, as well as exhibiting and performance opportunities. The next residency will take place in April, 2018, and will be co-hosted by Girls' Club and FATVillage Projects. We are also launching a collaborative residency; Fågelbo (The Nest) Residency, which aims to pair a visual and performing artist working together with the goal to develop and educate the understanding of performance art in South Florida. The residency is hosted by FATVillage Projects in Fort Lauderdale, FL. A warehouse which offers 8000 sq feet to work, exhibit and perform inside. Next residency will take place in April, 2018.